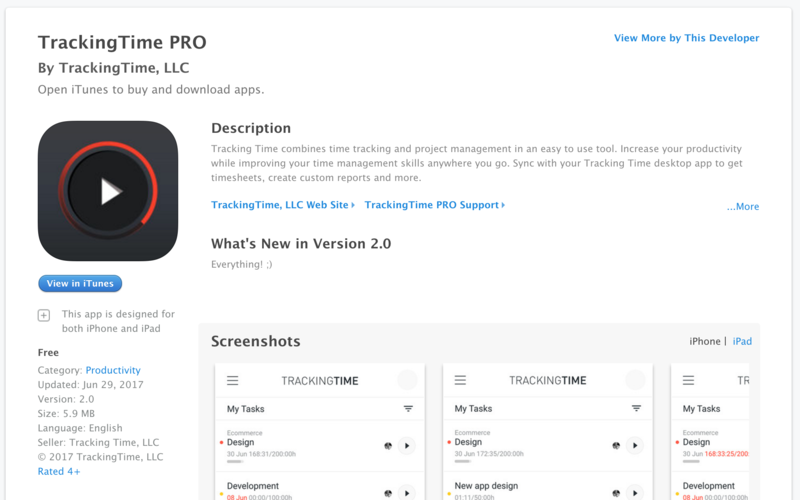 Track your time on the go with the TrackingTime mobile app for iPhone. Manage your tasks and track your working time everywhere you go. Get TrackingTime for iPhone. Your personal task list helps you get organized and get things done with style and ease. Keep track of your working times right from your task list, in real-time and with just one tap — no need to fill out timesheets or set up timers. Set deadlines and time budgets to always stay focused. The app will visually help you keep all your tasks on track.